My son is turning nine this weekend, (Oh my how the time flies!) and he just loves all things Pokemon. (Wonder where he gets that from?) 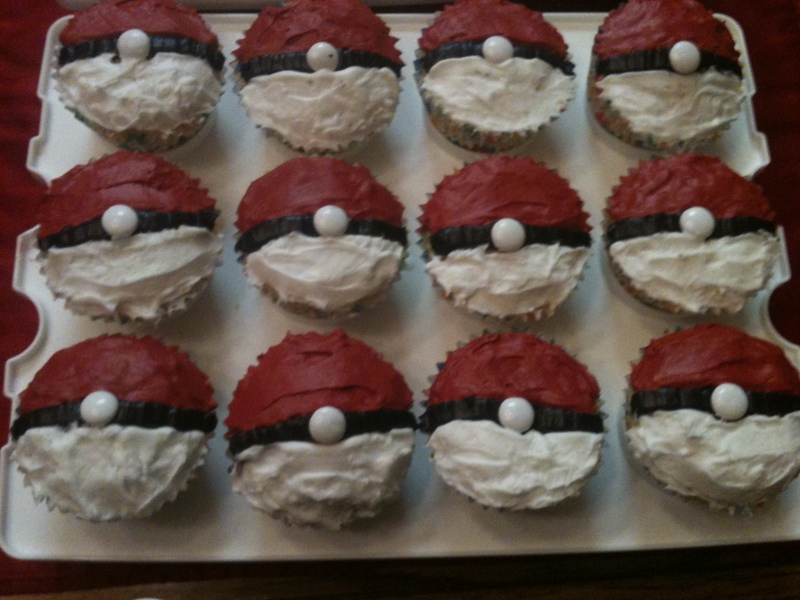 Anyway he requested to have a Pokemon theme birthday party. 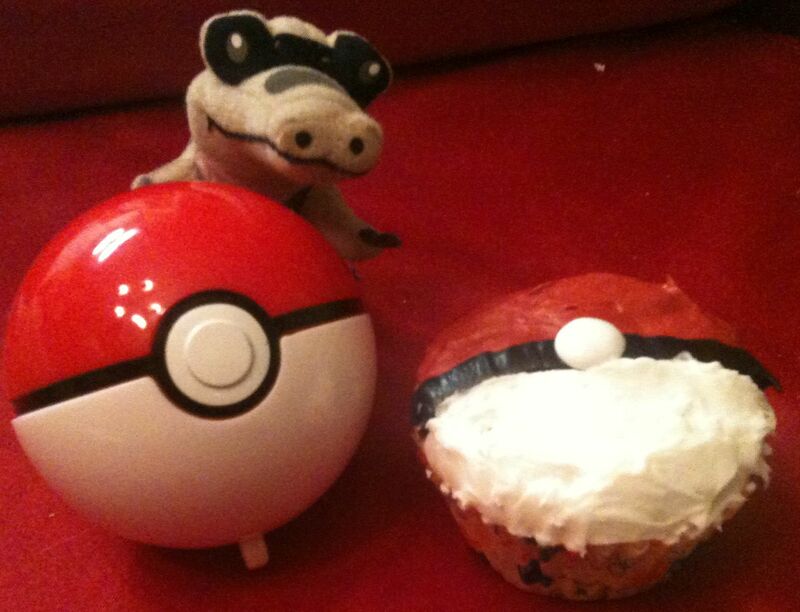 While looking online for cake ideas I ran across a few pictures of Poke Ball cupcakes and I knew I just had to make them for his class celebration. 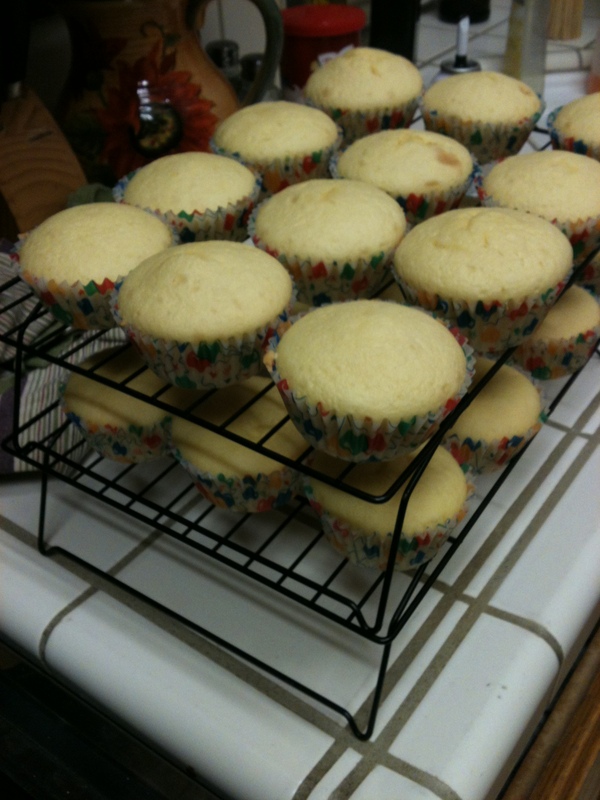 I used a large can of frosting for the red and the white as I was making 36 cupcakes. A smaller can will be just fine for smaller batches. 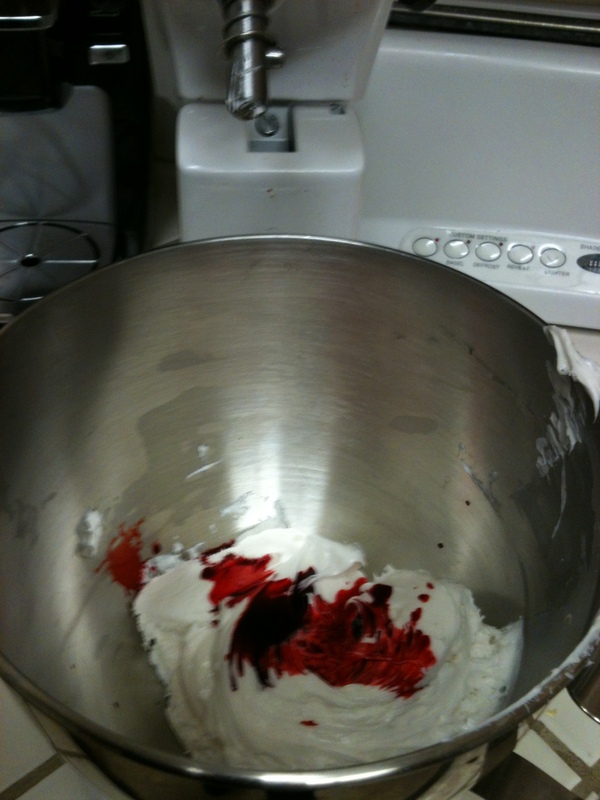 I did use 3/4 of a red food coloring container to get my frosting red. Mine turned out a little pinker than I’d hoped for, but the kid was pleased. 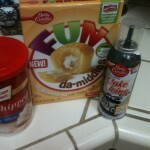 I now know that the local craft store sells a paste that can be used instead. 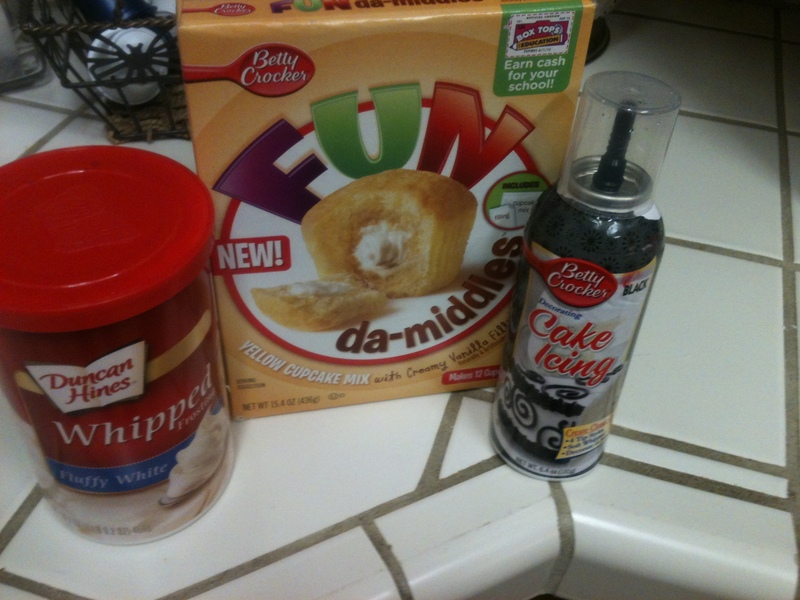 We tried a couple of methods, but the best that we came up with was to use the black can of spray frosting down the center first and then put the M&M on with the printed side down. 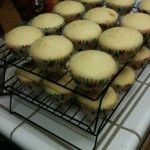 Then one of us frosted the red side and the other frosted the white side. We used bags with tips so we could get close to the black line. 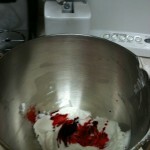 Then I smoothed everything out with a knife, doing all of the red frosting first and then the white. I think the finished product turned out great! 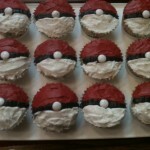 This entry was posted in General and tagged Pokeball Cupcakes, pokemon, pokemon cupcakes. Bookmark the permalink. 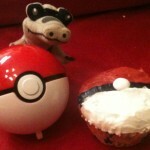 we should have talked……I handmade Pokeball invitations that, yes, opened up like the balls with the info on the inside! hope you have a great party! I have a pattern (somewhere) to make a Pikachu backpack I can lend you. I made one and it came out pretty darn cute (IMHO). hope your son has an awesome party! January birthdays ROCK!